Coexistence is a piece of functional sculpture. 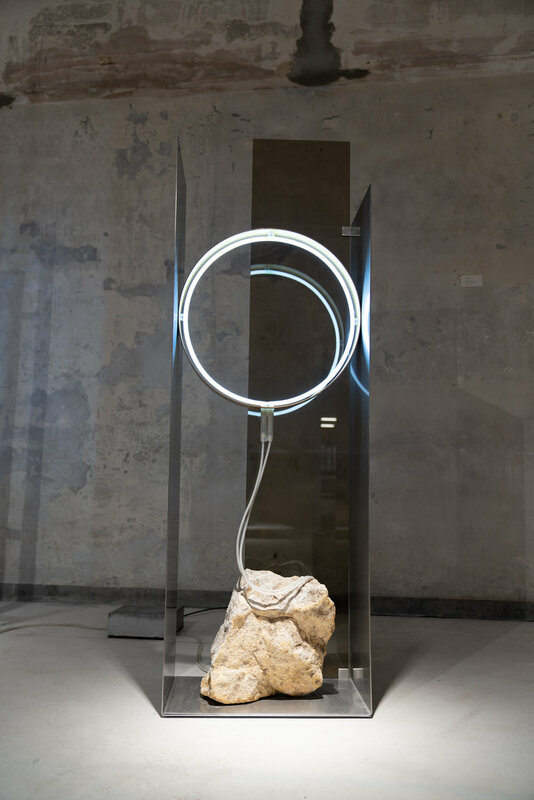 It is the culmination of Daniel Kamp’s 18-month-long project creating one of a kind furniture by carefully composing large stones from Hong Kong island with metals fabricated on the industrial streets of Kowloon. The particular stone used in Coexistence 02 was dislodged from one of Hong Kong’s iconic stone walls (perhaps during the 2018 super typhoon Mangkuht). Saving the stone from waste collection, Kamp converted it into a piece of furniture using a single sheet of hot rolled steel, fabricated at a local machine shop. The geometry of the steel responds to that of the stone; creating a simple harmony between two seemingly disparate materials, which in fact share the same origin. The resulting lounge chair is raw, minimal and unapologetically heavy. Kamp views the piece as an ‘antidote to impermanence’. In the context of an ever-modernising Hong Kong and a dizzyingly transient world; Coexistence offers a calming sense of natural, solid, reality. Supported by steel and grounded by stone - three slim tubes hover in space, awaiting flowers. Odd Balance is a continuation of Daniel Kamp’s exploration of ‘Objects for Flower Arrangement’. Here, opposing materials, volumes and weights are composed to create a piece of furniture that is inspired by the same art form that it serves. 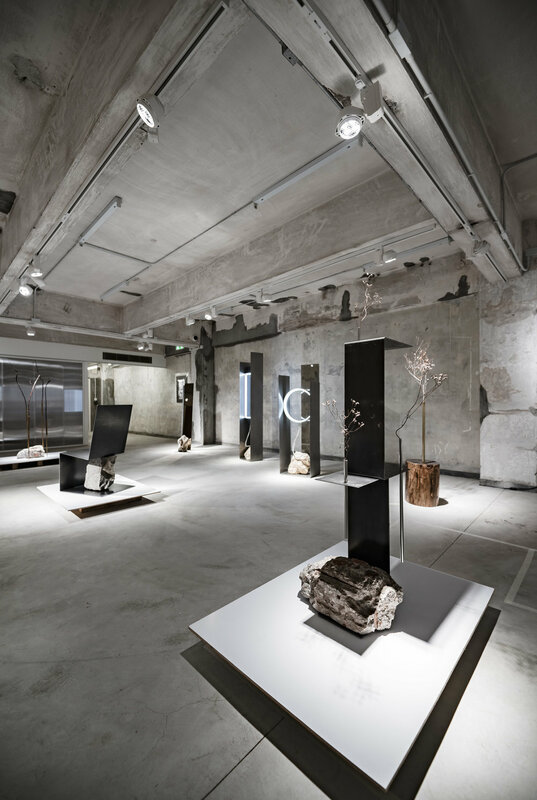 A Crude Coexistence is a collection of sculptural furniture created by carefully composing rocks found on Hong Kong island with metals fabricated on the industrial streets of Kowloon. The titles of the five pieces in the collection read together as a poem describing Daniel Kamp’s 18-month-long project exploring the notion of coexistence or ‘harmony despite difference’.